Epic is raking in serious revenue from mobile in-app purchases. If Google Play isn't going to give them the same incentives to release Fortnite their store, Sweeney doesn't see why they should. Correction: Our original headline mistakenly attributed Tim Sweeney as saying money was not a motivator, but the Epic CEO has replied to us on Twitter, noting, "Financials were definitely a motivation here, and a big one — perhaps a hundred million dollars big." 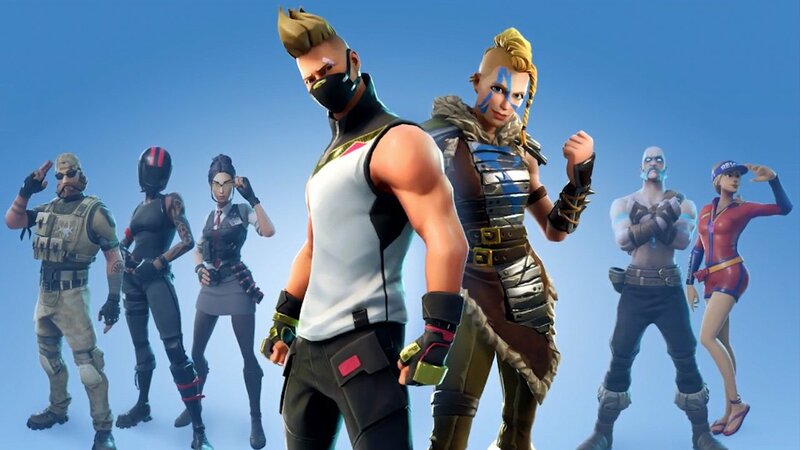 In an unprecedented decision, Fortnite developer Epic Games confirmed it will not be putting the game on the Google Play Store for android devices, instead circumventing the system by hosting it privately. It’s a huge power move that most analysts say comes down to financial gain, but Epic Games CEO Tim Sweeney had plenty to say on how keeping Fortnite off the Google Play Store wasn’t just because of financial motivations. The biggest point of consideration (and some might say contention) is that the Google Play Store policy demands a 30 percent cut of all profits from any game hosted there. There’s also the matter of copycat games easily finding their way onto the mobile platforms, created by developers looking to cash in on the original game’s popularity. That doesn’t sound too bad until you remember that Fortnite pushed Epic Games’ value up to anywhere between $5 billion and $8 billion. At that level of profit, a 30 percent cut is worth more than some companies earn from an entire game. This hasn’t stopped other companies from doing their best to maintain a hold on what portion of the profits they have the right to after hosting the game on their platform. PlayStation has received no shortage of flack for not allowing cross-platform play. This means that players can’t use the same Epic account between consoles like the PS4 and the Xbox One. In turn, this doesn’t allow players to maintain progress or loot between platforms. While this isn’t ideal for players, it does keep PlayStation’s cut of the revenue pie more secure. To be fair, Fortnite does allow users to use the same cosmetics and gear from platform to platform (excluding PlayStation), but a user can’t access the same pool of “V-bucks” in-game currency. Sweeney’s implication here is that the console business puts more effort into getting their games into customers’ hands. Not so with Google or Apple, who are also prone to countless clones flooding their storefronts. Sweeney himself has been a public advocate for open platforms since 2016. I’ve been publicly advocating for open platforms since 2016, and the state of open platforms is strong! Windows is more vibrant and malware-free than ever, Mac is holding up well, and Android Oreo is the most secure open smartphone OS ever. Props to all! “Windows is more vibrant and malware-free than ever, Mac is holding up well, and Android Oreo is the most secure open smartphone OS ever,” Sweeney said on Twitter. Sweeney’s definition of an open platform: “On an open platform, users are free [to] install software from any source they choose, and developers are free to reach users and engage in commerce directly,” he said on Twitter. One might then ask themselves what the idea was behind putting Fortnite on iOS, which is a notoriously closed platform. The answer might be just that, as anything that isn’t from the iOS App Store or the TestFlight beta program is generally inaccessible. Android, on the other hand, is far more open, although they would prefer anything and everything go through the Google Play Store. As for the security concerns that others have brought up in response to Epic’s Android Fortnite announcement, Sweeney takes issue with said concerns in an open ecosystem. That APK software is what allows platforms like the iOS and Android stores to protect users from accidentally downloading a cat screensaver that’s secretly a virus. Since Fortnite will be its own private download, that has some players concerned. However Epic decides to release Fortnite will have no real bearing on how well the game does on the platform. Players will still download it (despite security concerns), pay for their loot llamas and battle passes, and continue to push this cultural behemoth onward into yet more billions in revenue.